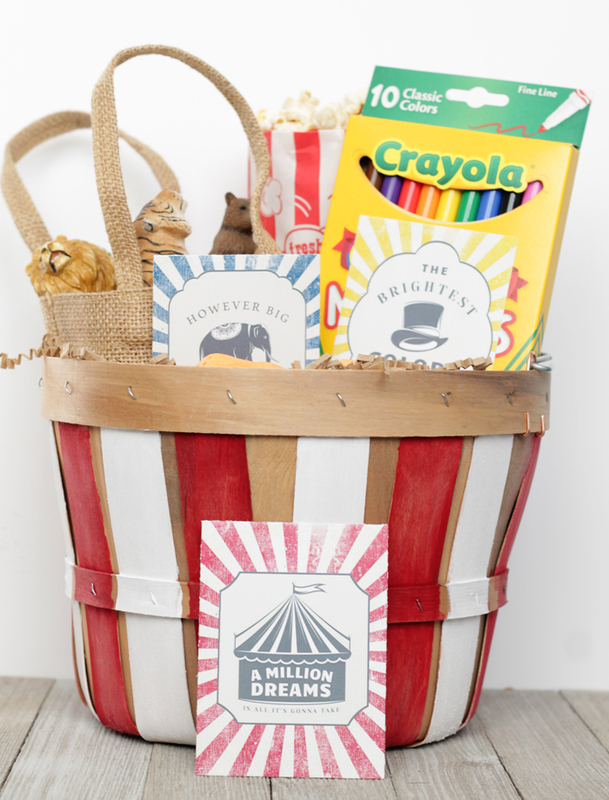 Create this Greatest Showman inspired Easter basket, filled with activities and treats your kids will love! 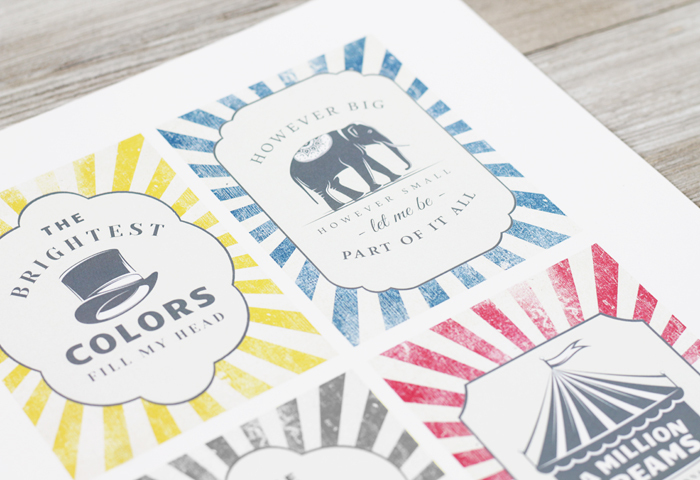 Printables with lyrics from The Greatest Showman are also featured with gift ideas. A few weeks ago, I shared an idea for creating an Easter basket from a wooden apple basket, here. 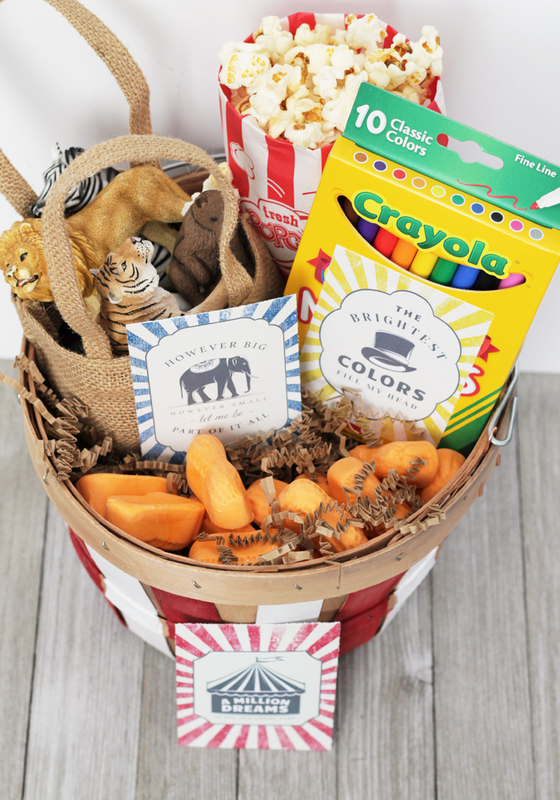 I have been thinking about what to get my kids for Easter this year and decided I wanted to make a basket inspired by their favorite movie of the moment, The Greatest Showman. 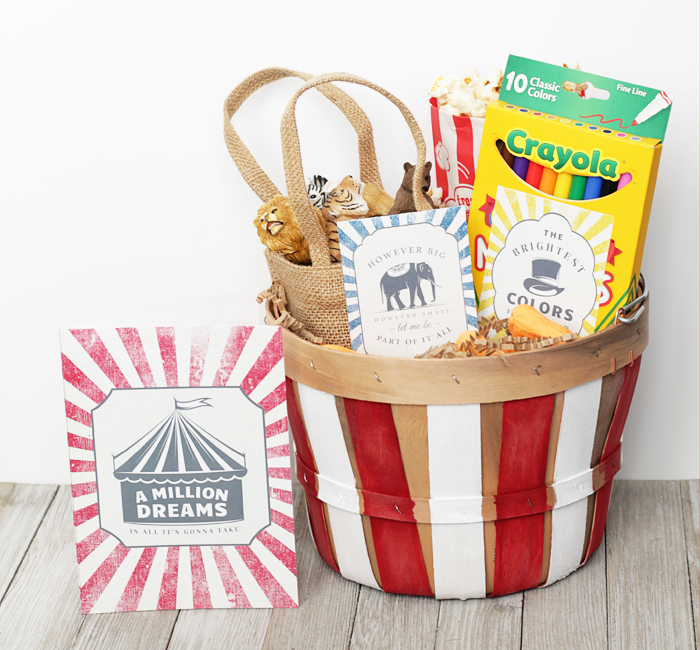 I knew the apple basket would give the perfect vintage circus vibe, and once I painted it red and white, it really came to life! Nat created these amazing Greatest Showman printables with lyrics from one of our favorite songs from the movie, A Million Dreams. 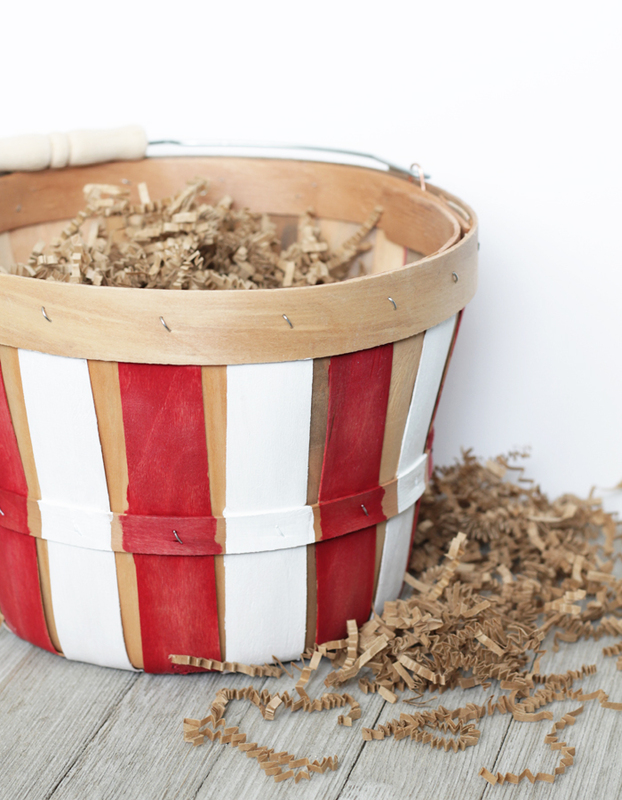 Before I share what I included in my Greatest Showman Easter basket, I’ll show you how I created the “Circus Tent” basket from an apple (bushel) basket. Tape off the stripes. 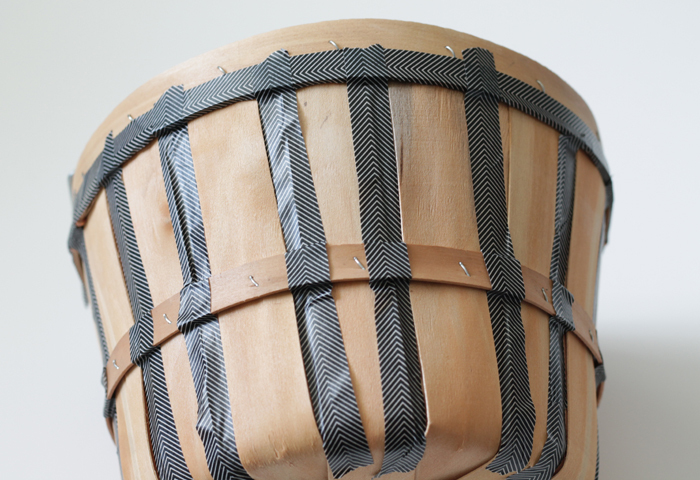 Tape the edges of every other vertical “strip” of wood on the basket, so you can paint them the first color. In this case, I painted the red stripes first. 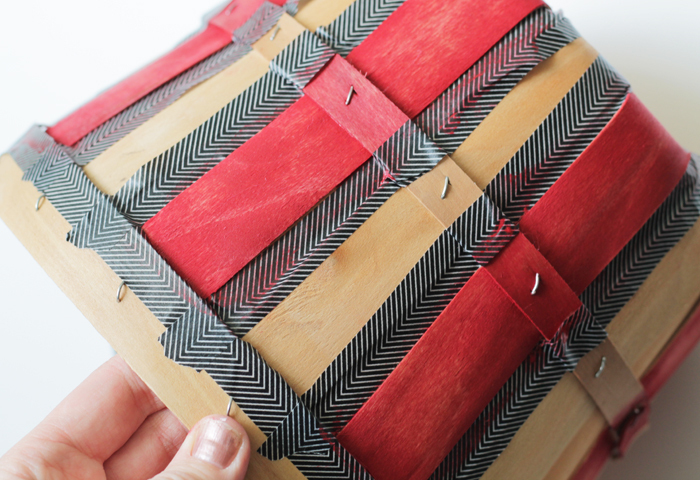 I used washi tape from my supply, but you could also use masking tape or painters tape. 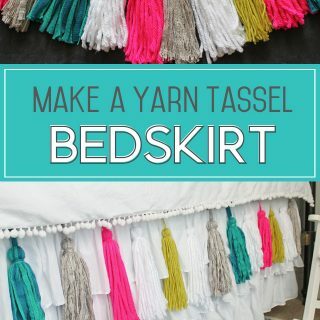 Paint the sections you taped off with your color of choice (my first color was red.) For a more vintage look, I watered down my craft paint a little and used a baby wipe to take off some of the paint before it dried. This way, you can still see some of the wood color showing through. 3. 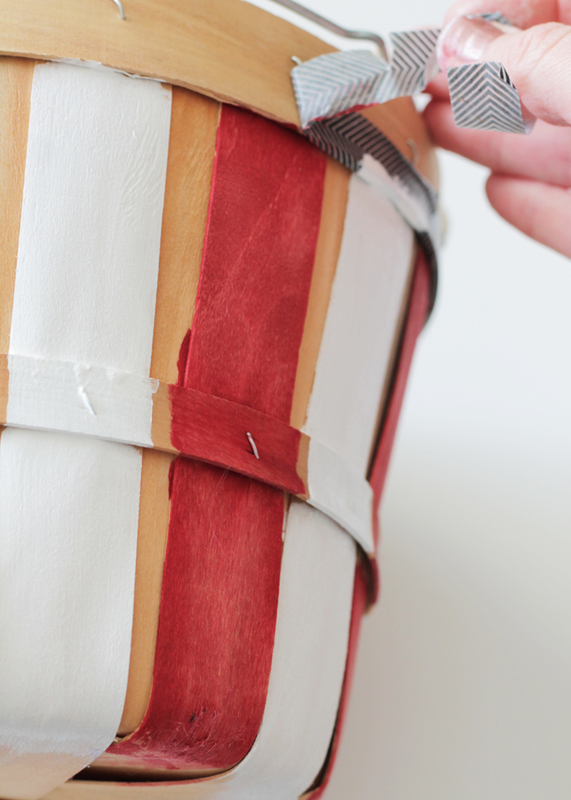 Once the first color has dried completely, remove the tape and tape off the opposite “strips” on the basket. Paint them in the second color (mine was white.) With the white paint, I wanted more coverage so I did two coats of paint, and I didn’t water it down at all. When completely dry, remove all the tape. I picked up some new markers for “the brightest COLORS fill my head” but you could easily use anything colorful! Crayons, paints, coloring books, nail polish, etc. 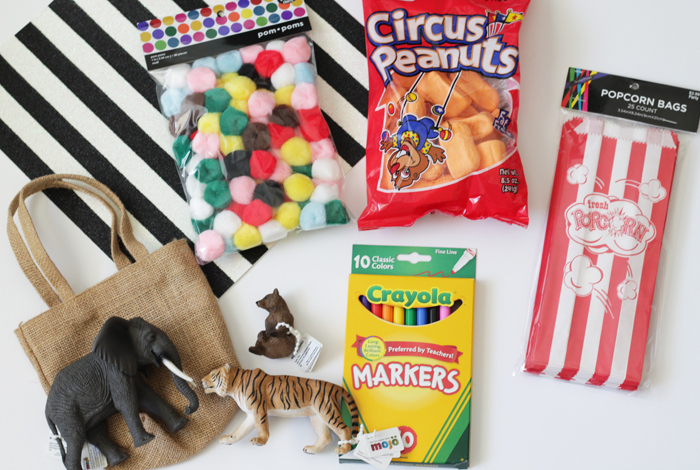 I also grabbed a few new animals for our play collection at home — this elephant and tiger totally go with P.T. Barnum’s Circus! I found the classic “Circus Peanuts” candy and picked up some popcorn bags in the party section. 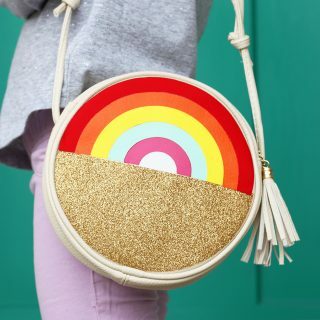 I also planned on making a cute clown hat (for my 4-year-old) with the striped cardstock and pompoms, but that will be in another post! For older kids, it might be fun to give them a book about the life of P.T. Barnum, or the book of music from the soundtrack. My son who plays the piano and sings would love this! What would you include? And more importantly, how many times have you seen The Greatest Showman? 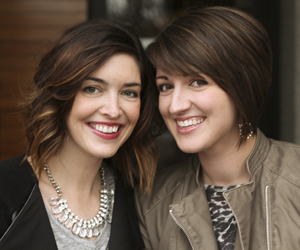 If you love the movie as much as we do, we would love if it you would PIN this post!